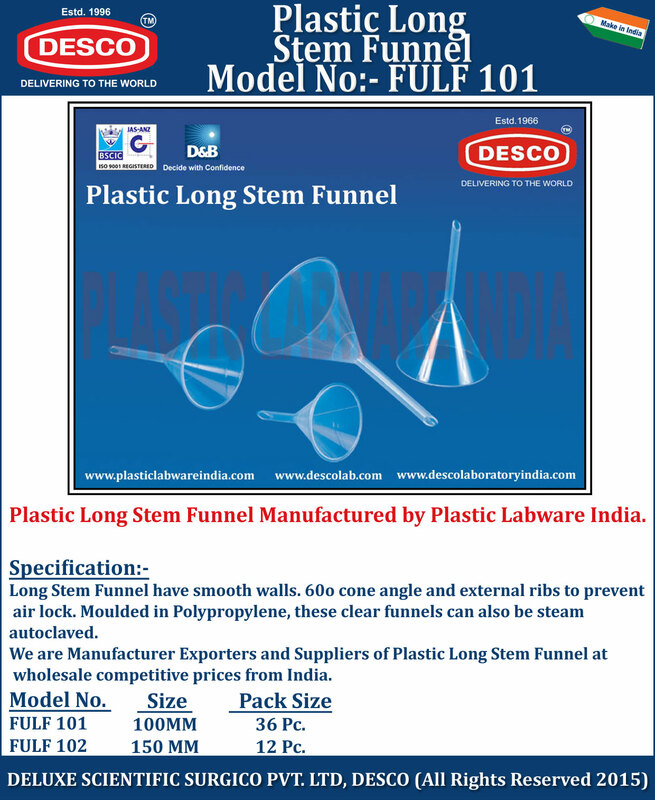 Long Stem Funnel have smooth walls. 60o cone angle and external ribs to prevent air lock. Moulded in Polypropylene, these clear funnels can also be steam autoclaved. We are Manufacturer Exporters and Suppliers of Plastic Long Stem Funnel at wholesale competitive prices from India. FULF 101 100MM 36 Pc. FULF 102 150 MM 12 Pc.